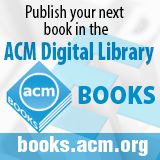 Welcome to the June 18, 2014 edition of ACM TechNews, providing timely information for IT professionals three times a week. A new generation of robots is poised to revolutionize the way people work, drive, and shop. However, many experts worry about the dangers robots pose to humans who work alongside them. "It's the fear or robots," says Stanford Law School fellow Bryant Walker Smith. "There's something scarier about a machine malfunctioning and taking away control from somebody." Experts say the latest generation of robots requires extra protective measures. For example, Google's newest driverless car has a padded front to soften any crashes, and the windshield is plastic. Another robot, Baxter, which was built to perform repetitive jobs in workplaces, is designed to sense humans and stop before coming in contact with them. Current regulations require robots to operate separately from people, but the newest robots are being designed to work collaboratively with people in open environments. "In order for robots to work more productively, they must escape from their cages and be able to work alongside people," says Kent Massey, director of advanced programs at HDT Robotics. "To achieve this goal safely, robots must become more like people. They must have eyes and a sense of touch, as well as the intelligence to use those senses." The U.S. National Science Foundation recently awarded a five-year, $4-million grant to the University of California, Los Angeles (UCLA), University of California, San Diego (UCSD), Carnegie Mellon University, the University of California, Santa Barbara, and the University of Utah for the Roseline project, which aims to develop new clocking technologies, synchronization protocols, operating system methods, and control and sensing algorithms. The grant will help researchers improve the accuracy, efficiency, robustness, and security with which computers maintain knowledge of time and synchronize it with other networked devices in the Internet of Things. "Through the Roseline project, we will drive cyber-physical systems research with a deeper understanding of time and its trade-offs and advance the state-of-the-art in clocking circuits and platform architectures," says UCLA professor Mani Srivastava, principal investigator on the project. Most computing systems today have relatively simplistic time management capabilities, which leaves applications dependent on time vulnerable to complex and catastrophic disruptions. The Roseline project will address this problem by re-examining how the knowledge of time is handled across a computing system's hardware and software. "Roseline will drive accurate timing information deep into the software system," says UCSD professor Rajesh Gupta, a co-principal investigator on the project. "It will enable robust distributed control of smart grids, precise localization of structural faults in bridges, and ultra-low-power wireless sensors." Queensland University of Technology (QUT) researchers have used a Sri Lankan elephant-tracking model to analyze the behavior of shoppers in Australia. QUT professor Darshana Sedera merged existing digital footprint tracking methods with contextual factors in a technique used by a University of Sri Lanka study on forecasting elephant paths. Sedera served as an external advisor on the creation of the elephant-tracking model, which analyzes elephant behavior in relation to contextual factors such as season and harvesting time. "Our mobile phones and the use of mobile apps act like the electronic tags on the elephants, in that they have the potential to track our every move--and provide keys to our future paths," Sedera says. The QUT study examined how companies are working to create and increase digital connectivity via mobile apps, changes to consumer behavior, and firm capabilities. A QUT survey of about 500 Australian supermarket shoppers suggests consumers are aware retailers track their behavior and want a more customized experience, but a saturation point exists after which increased marketing will be ineffectual. Sedera says the ability to accurately predict just a fraction of customer behavior could cut retailers' expenses significantly through more accurate stock purchasing and maintenance. In the QUT survey, 70 percent of consumers were not very satisfied with how companies recognized or responded to their unique needs. Massachusetts Institute of Technology (MIT) researchers have developed Julia, a new programing language for high-performance computing. Although the Julia project is still a work in progress, the programming language already has met or far exceeded its requirements, according to MIT professor Alan Edelman. "With Julia, we can play around with the code and improve it, and become very sophisticated very quickly," he says. One of Julia's most innovative features is the concept of multiple dispatch, which enables users to define function behavior across combinations of argument types, providing a dynamic type system broken down into types, enabling greater abstraction. Julia also can integrate programs written in other languages. Julia was created with open source licensing, which has increased collaboration in the development of the language and in working on Julia programs. Edelman says open source licensing also has helped to quickly build a worldwide community that is just as important as the software's technical capabilities. Julia's development was accelerated by the decision to create a package manager that eases the development of add-ons, including an IJulia app developed in conjunction with the IPython community that supports a browser-based graphical notebook interface. Computer scientists from the University of Lincoln are co-organizing an international workshop on the latest advances in agricultural robotics. The 13th International Conference on Intelligent Autonomous Systems (IAS-13) will include a workshop that aims to bring together the academic and industrial communities to discuss recent advances for agriculture and horticulture. "The workshop will provide a forum to present the state-of-the-art technical solutions in agricultural robotics and new exciting robotics platforms, but also to encourage future collaborations between the participants," says Lincoln School of Computer Science's Grzegorz Cielniak. The latest agricultural robotics technology can autonomously perform several different tasks, from monitoring soil and crop properties and harvesting fruit in orchards to mechanical weeders eliminating the need for herbicides to produce affordable, safer food. "Using teams of small specialized agricultural robots instead of the currently used heavy machinery can result in lower soil compaction leading to energy savings, but also in more robust systems in the case of technical failures," Cielniak notes. The Lincoln Center for Autonomous Systems is working on a system of laser sensors to accurately control agricultural sprayers, among other projects. IAS-13 is scheduled for July 15-19, 2014, in Padova, Italy. Hundreds of student-teams from around the world have traveled to Dundee, Scotland, to participate in the Dare to Be Digital game design competition. Fifteen teams will have an opportunity to spend the summer at Abertay University and build a working game prototype in eight weeks. Their games will be put before the public and industry experts at the Dare ProtoPlay Festival in August in Dundee. The competition features three main awards, and the three winning teams will then compete for the Bafta Ones to Watch Award. The competition helps prepare young people for a career in games, says V&A Museum game designer Sophia George, whose team won the award in 2012. "We want to make sure we take an active role in the future of the U.K.'s game development industry, and Dare to Be Digital is a central part of the U.K.'s seeding program," says PlayStation First's Maria Stukoff. Scientists and historians have performed a computational analysis of historical court records in London to show how the British justice system created new practices for controlling violence. At London's Central Criminal Court, known as the Old Bailey, court reporters recorded nearly every trial that took place between 1674 and 1913, generating the world's most detailed recording of real speech in printed form. The study, which brought together experts from Indiana University, the Santa Fe Institute, and the University of Sussex, demonstrates "an important new way to do historical research," says National Endowment for the Humanities director of digital humanities Brett Bobley, noting computers can parse huge collections that historians cannot. Computers allow words to be represented as mathematical objects and put through algorithms that detect patterns that a person could not. The scientists sought patterns by studying when and how often certain words occurred. The researchers used the 1911 edition of Roget's Thesaurus, which sorts 26,000 distinct English words into 1,040 numbered categories called synonym sets. Thus for every word, the team had a number that corresponds to a meaning that can be modeled mathematically. One important finding is the gradual differentiation in violent and nonviolent crimes. Researchers at North Carolina State University (NCSU) and Carnegie Mellon University have developed a system that can track a football in three-dimensional space using low-frequency magnetic fields. The technology could be useful for situations when the ball is blocked from view, or for helping viewers follow the ball during games with low visibility. "Low-frequency magnetic fields don't interact very strongly with the human body, so they are not affected by the players on the field or the stadium environment," says NCSU professor David Ricketts. The researchers developed a low-frequency transmitter that is integrated into a football, and it is within the standard deviation of accepted professional football weights. However, when low-frequency magnetic fields come in contact with the ground, it absorbs the magnetic field and re-emits it; this secondary field interacts with the original field and throws off the tracking system's accuracy. "We're still fine-tuning the system, but our goal is to get the precision down to half the length of a football, which is the estimated margin of error for establishing the placement of the football using eyesight alone," Ricketts says. Australian electrical engineers have observed the unique quantum behavior of a pair of atoms inside a silicon chip and developed a method to perform quantum logic operations between two atoms. The team from the University of New South Wales (UNSW) saw two distinct quantum states that were very different from what is seen with a single atom. "We had a real 'Eureka!' moment when we realized what was happening--we were seeing in real time the 'entangled' quantum states of a pair of atoms," says UNSW Ph.D. student Juan Pablo Dehollain. Moreover, the team reports it has developed and patented a new strategy to use them for two-bit quantum logic operations. The strategy allows for much more tolerance in the atoms' placement in a wide range of distances from one another. The team exploited the ability to control the nuclear spin of each atom. "Technologically, this is a real breakthrough, because it will permit building quantum computers using the same fabrication method used for normal silicon transistors," notes UNSW Ph.D. student Rachpon Kalra. Data standards will be necessary to facilitate traffic flow in the future, and government officials, engineers, and automakers are considering various ways to implement the technology. Engineers at Vanderbilt University and the University of California, Berkeley are working on an integrated infrastructure that will monitor roads and control traffic flow accordingly. For example, the system will control ramp lights that tell vehicles when to enter the highway. The system could be on the roads in Southern California within a few years. Also likely to emerge within a few years are parking systems that tell drivers the locations and costs of available spaces, and possibly reserve a space. In addition, dedicated short range communications technology is emerging that enables vehicles to share real-time information about location and speed, and alerts vehicles of the need for evasive action. U.S. Department of Transportation CIO Richard McKinney says his agency is discussing the need for standards on data exchanges, as information technology plays an increasing role in transportation. McKinney says the transportation industry hopes to avoid a scenario within 10 to 15 years of competing data standards that impede communications. Researchers at the Swiss Federal Institute of Technology in Lausanne (EPFL) say they have developed a new way to create a widely-used class of optical devices with unparalleled effectiveness. The researchers developed a method to design, simulate, and optimize photonic crystal nanocavities (PCNs), which operate like the components of an electronic circuit except they control the flow of light instead of the flow of electrons. "The nanocavities we are optimizing are smaller than the optical wavelength itself (about 1 micrometer) and have a quality factor higher than 1 million, meaning that a photon can go back and forth inside the nanocavity more than 1 million times before escaping," says EPFL's Vincenzo Savona. The researchers designed a computer-modeling algorithm that can simulate a single PCN structure in a matter of minutes. The researchers combined the fast algorithm with an evolutionary optimization software tool that creates better structures with each subsequent generation. As PCN generations succeed one another, the algorithm simulates the structures and the evolutionary software selects the best individuals. "In the end, we improved all of the most widespread PCN designs by a factor of 10 to 20 in terms of the lifetime of the confined photons," Savona says. Teaching basic coding literacy to all students in public schools could help realize a diversity of talent that would transform society as profoundly as reading and writing once did. Although recent coding pushes have led some to believe everyone needs to learn the specifics of programming languages, this level of detail might not be as relevant as learning the fundamentals of what computers can do. Computational thinking might surpass coding skills in importance to useful applications of technology in today's society. Microsoft's Jeannette Wing popularized the term computational thinking, which she says is not limited to programmers and encompasses "solving problems, designing systems, and understanding human behavior." Knowing how to write code is useless without an appropriate goal toward which to apply it. "Unless you can think about the ways computers can solve problems, you can't even know how to ask the questions that need to be answered," says University of Pittsburgh professor Annette Vee, who studies the spread of computer science literacy. Reading and writing literacy began as a skill for a select few and then expanded, and coding literacy is similarly moving from an elite group to the masses. Today's most significant breakthroughs, not only in technical fields but in all fields, involve big datasets, powerful algorithms, and people able to leverage both.